The Central Park, Wallasey is a charming spot where you can enjoy some good times with your dear ones. This beautiful public park can be accessed throughout a year. The spot is thoroughly walled, and it offers an impressive array of features that make both children and adults delighted. At this relaxing spot, you can find children's play area, multi-use games area, cricket and football grounds, running trails, performance area, a picnic area, fishing lake and Boer War memorial. 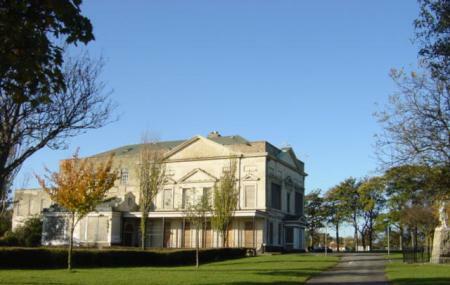 There is a performance area and a wonderful cafe too at the Central Park, Wallasey. You will also find clean public toilets here. Lovely large park with a pond for ducks and facilities for children to play in. Best enjoyed on a sunny day ! Excellent for dog walking. A well maintained public park, plenty of open space to take a brisk walk along with two lakes along with swings to play on, lovely place to visit during the summer months. Great place for having a picnic and walking your dog also excellent place to sun bathe during the summer. After living on the Wirral for 18 years, only discovered this park a could of months ago. The pond has loads of geese, ducks, moorhens and usually a couple of swans. Be prepared to get swamped by pigeons when feeding the water birds, but it's quite exciting and funny. Don't know much about the rest of the park though. It has some of that keep fit equipment scattered about.